Dance, Music and Light create an interactive performance in which motion, momentum, and spontaneity are the driving forces to create choreography and composition. Visual Art, Music, Movement and Light come together to create an emotional and cerebral statement in performance. “tzZiiiY, are we in heaven yet? is a performance that starts with two individual beings and their two distinct languages (movement and sound) that gradually find a way towards each other in order to create a common ground for play. Adding layer after layer to their relationship, through playfulness and confrontation, entanglement and separation, gentleness and friction, they both (ab)use their respective media in all ways imaginable in the (sometimes desperate) attempt to reach a common plane and create a shared dream that everyone can be part of. Gentle approaches, fearful sensing, sudden ruptures, puzzled pauses and unlimited imagination are their friends in creating this strange bubble of movement and sound that is getting filled with fragments until it explodes and makes way for a new and sparkling universe. Amidst abstract movement and fragmented dances you might catch some glimpses of a hungry fish-goddess or a bird with elephant legs trying to fly without avail, while the sound takes you into a world of noise and drones, frenzied loops, melodic patterns and shattered sounds of the every day. 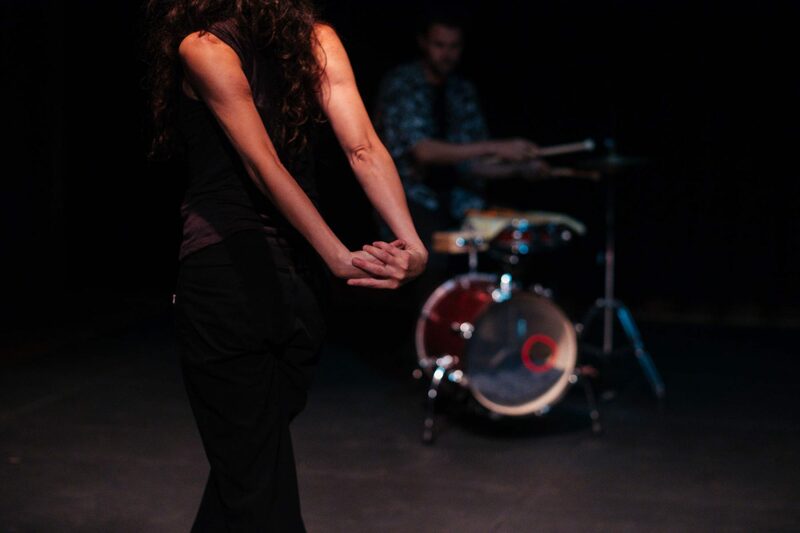 Pasionaria is the first staging of a current physical and sound investigation that uses darkness as a search for the connection of space and time with other planes of perception beyond vision, beyond image. The fuzzy body and the tenuous space, the areas of penumbra and the lateral poetic attacks are some of the ideas that will be shown in the evening. Thanks to AFK for making this work possible. Thanks to SED fund for contributing to the space costs.